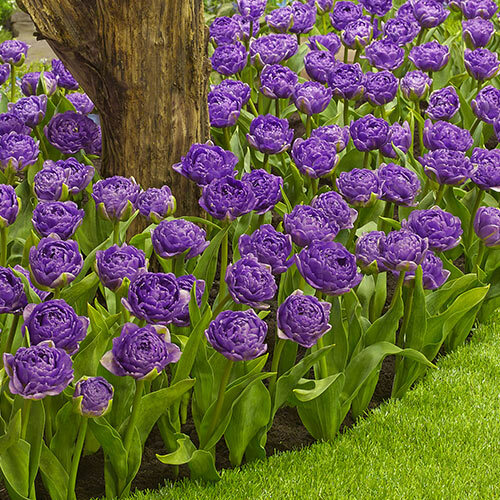 Full as a plush peony, this double tulip adds a violet-blue hue and unique form to both beds and arrangements. In groups, it creates a carpet of color. But it's simply magical paired with soft pastels or bold brights. A standout in a border or container garden. Easy to grow. Tolerant of many soil types.